I've been asked in the past why I carry a compass without a map. If your sense of direction isn't the best then a compass can be a handy companion to keep you on track. Sometimes if you're deep in the woods you can't see the sun or stars for a bearing and knowing which way you're headed helps stop you wandering in circles. Also if you found yourself stranded in an unfamiliar area you could sketch a map but no matter how hard I try I can't sketch a compass that works. The Compass that stays in my EDC kit is a little vintage looking classic brass compass. It reminds me of a Grandfathers compass, of exploring and adventure. I picked it up online in 2014, but you can still get them on ebay for less than £2 !! I'm very in to the classic/vintage style so fell in love with this when I saw it. 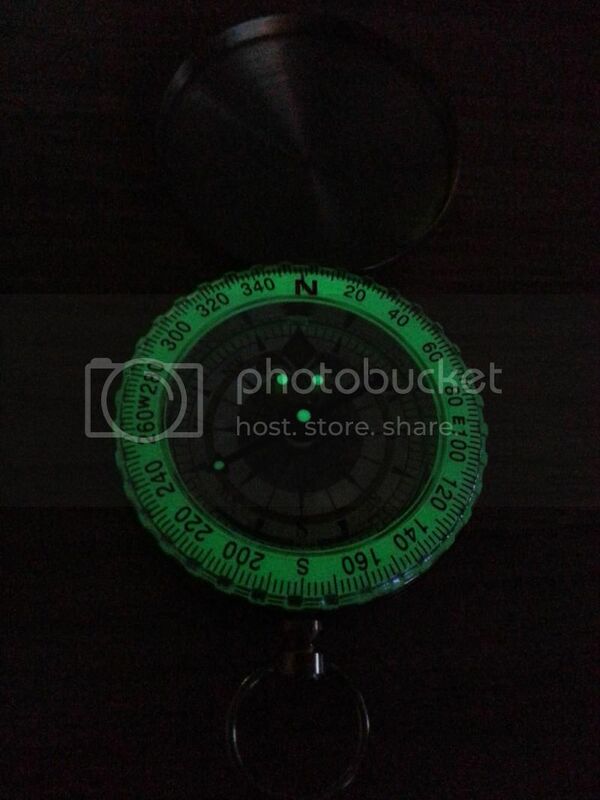 Chinese quality control leaves a lot to be desired but on this occasion there are no faults with my item and it works more accurately than the compass on the smart phone so very happy with it. It also glows in the dark! When I first got it I charged it under a light for about half an hour before I went to bed and it was still glowing when I woke up. Again, very impressed. Of course you can get compass apps on most phones these days, But if my phone breaks of the battery dies at least I have another option. 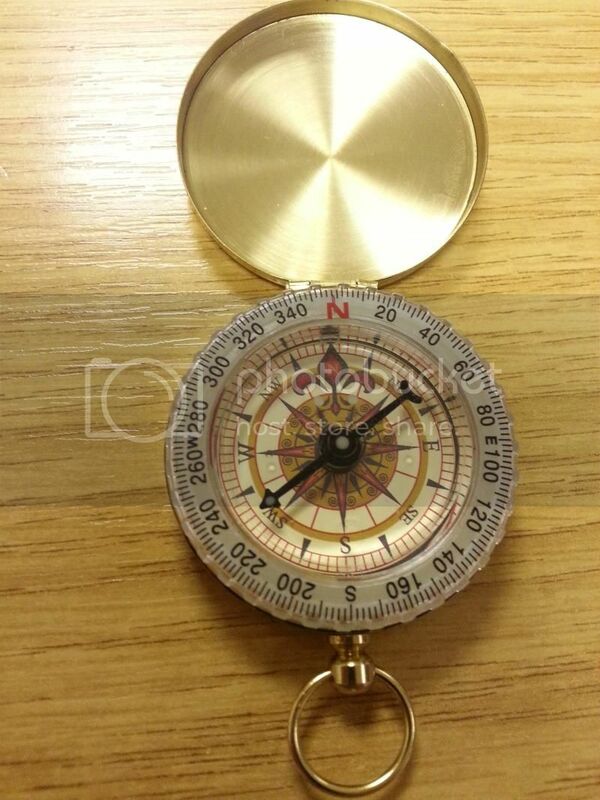 As always we'd love to hear your thoughts, Do you carry a compass? Just ordered one. I had a compass that became demagnatised but never got round to replacing it.